Have you been feeling empty and tired recently? Okay, these are the first signs of coming depression. Not to develop it to the full extent, you need to get out from the darkness and come back to the light of life. 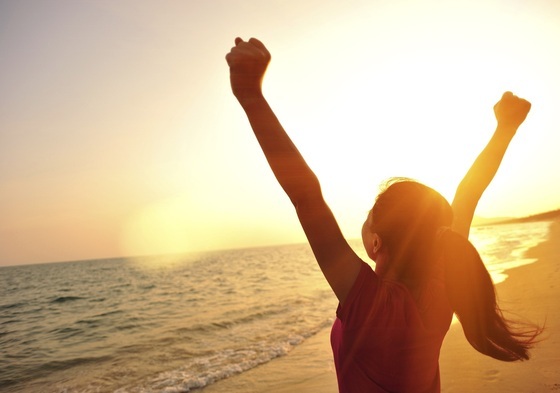 We know what you need to cure the upcoming disease – positive thinking! If you wish to find out how to reduce stress by positive thinking, then keep on reading! Everyone talks to oneself, right? The point is how you do that in various situations. For example, you failed the exam in college. The first thing that comes to your mind has to be probably: “I am useless" or “I failed it again." Guess what? This is a completely wrong way of thinking. You should get rid of such thoughts right away! Instead, you have to forgive yourself and motivate for the future: “Next time, I will do better," or “It is okay to make mistakes. I have still passed the test though the score is not the best." If you are feeling the depression is coming, change the strict attitude to yourself by comforting kind words. You should always be grateful to everything that surrounds you. In the period of upcoming depression, you should remind yourself of how grateful you are even more. To embrace a more positive attitude, you have to stop for a moment and see how much you have: the loving family, the opportunity to study in college, two arms and two legs that allow you to function fully, and many other things. To understand clearer what you should be grateful for, write down all the things you have, both material and nonmaterial, and smile when the list is over. Why smile? Because there are many things you should say “Thank you" for when you wake up each morning! If you do not feel that anything mentioned above helps, then try positive thinking meditation each day. 20 minutes a day will be enough – concentrate on positive thoughts and observe yourself from outside. Make slow deep breaths and reflect on something that brings you joy – it might be the sunny day at the sea or walking with your dog or spending time with your funny friends. Reflect on how much joy it brings you and smile inside and out. If you try and think positive, stress will never appear in your life again! Can you not think positive because you are overloaded with tedious essays? Relax! Have a look at our editing services for students and get back to meditation! Laughter is an amazing thing that is able to reduce the stress and make our lives longer. If you do not find any reason to laugh in your everyday life, just look at its funniest part! First of all, you should surround yourself with people who are able to make you laugh. If you do not have any, watch the comedies on TV or enter the groups on Facebook that will post one joke per day minimum. After waking up, visit the group, read the joke, and get the positive vibes for the rest of the day. How to find the correct group? Well, do you love the animals? Then, enter the group 9GAG Cute where funny videos with adorable pets are posted. Seriously, you will not be able to resist and not laugh and melt looking at the cute puppies and kittens. Each time you hear something negative directed at you, do not take it personally. The polite and thoroughbred person will never say anything nasty to anyone. If the person still does something bad, you need to understand that s/he might be upset or angry, s/he might be going through the relationship crisis, or someone is sick in his/her family. The person says it to lash out and not to hurt anyone. Plus, you might misinterpret his/her intentions and understand him/her wrong. You need to think positively and say to yourself: “I simply misunderstood him/her. S/he did not mean what s/he said," or “This person had a bad day – I should not feel grumpy about what s/he said." 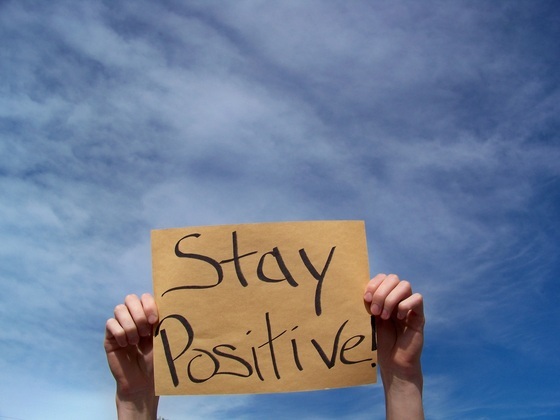 Think positive and do not allow anyone to ruin your day! She also believes that each individual on the planet has special expertise, and the only complication is to be open in order to see this talent in its full volume.